As winter approaches, cooking with in-season, local produce is nearly impossible. Thankfully, we still have a few great options finishing up their growing season. 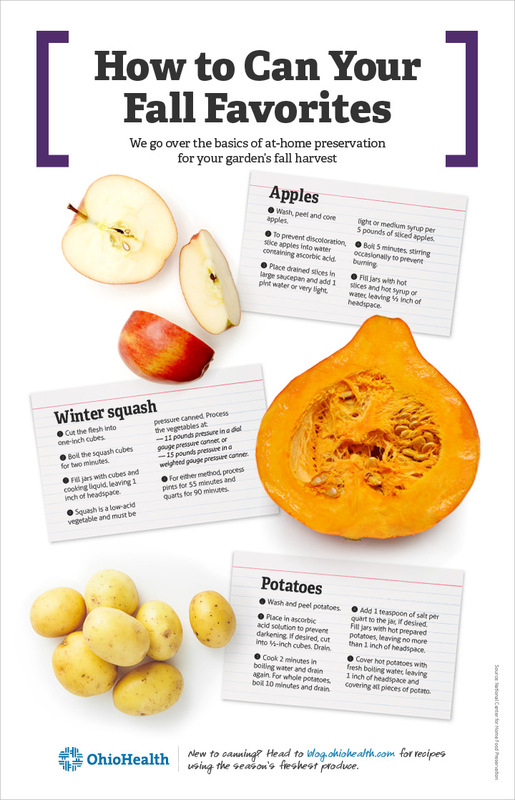 You can easily use the tips below to can fall fruits and vegetables for use throughout the winter months. 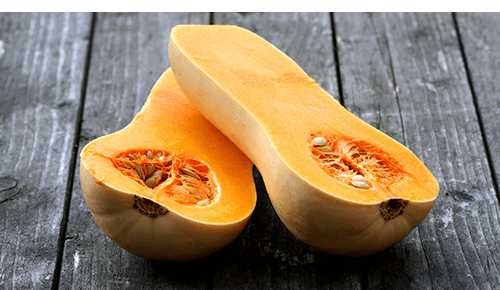 In Ohio, winter squash remains in season until about mid-November. And once picked, cured and stored, this vegetable can be kept in a cool, dry space for about six months. When canning, only cube the squash, do not mash or puree as the low-acidic vegetable is capable of supporting the growth of Clostridium botulinum bacteria. To use your canned squash, drain the jars, mash the cubes and reheat. Apples remain in season until the first part of November. 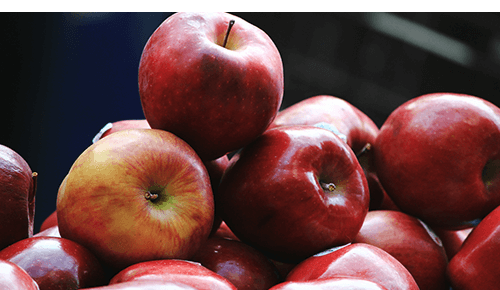 If you decide to can apples, select apples that are juicy, crispy and a mix of both sweet and tart flavors. Like apples, potatoes remain in season for the beginning of November. 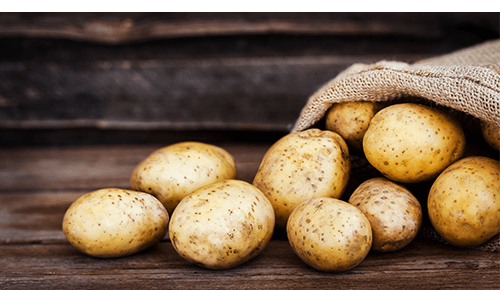 When preparing to can potatoes, select small- to medium-sized mature potatoes. During the canning process, do not reuse the water you cooked the vegetables in, as it contains too much starch. The National Center for Home Food Preservation is a great resource for at-home preservation. If it’s your first time canning, check out the center’s Principles of Home Canning.